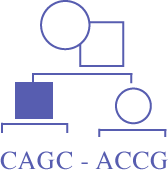 Here is the listing of CAGC Certified Genetic Counsellors and the date of most recent certification. Certification expires on December 31 of the 10th year following certification. Example: certified on November 25, 2007, expires on December 31, 2017. Recertification must be completed before this date in order for here not to have any lapse in certification status.